If you’re looking for an easy Holiday baking craft, then this one is for you. 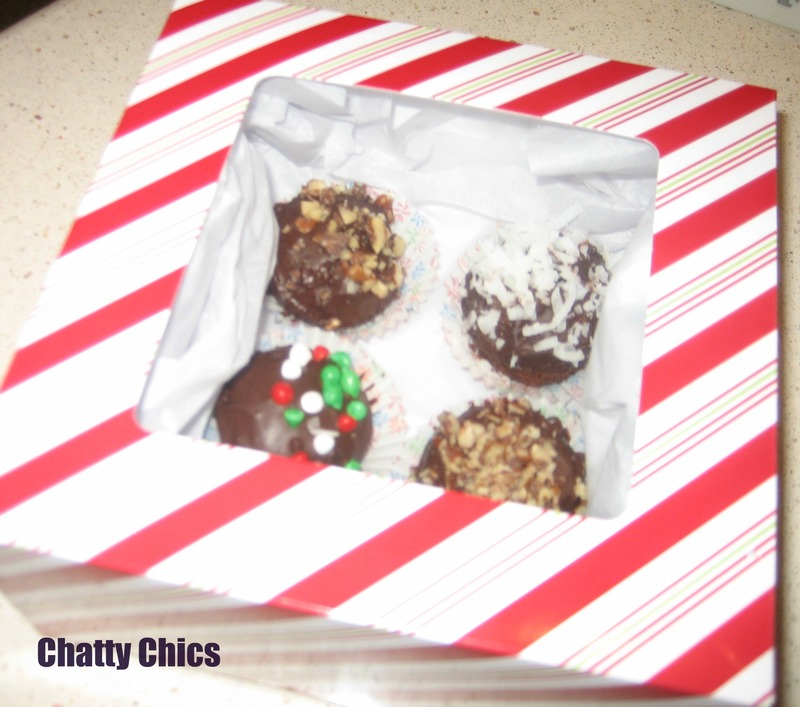 I was inspired by Beth’s Chocolate Covered Cake Balls at Home Stories A to Z and love to dip anything in chocolate. 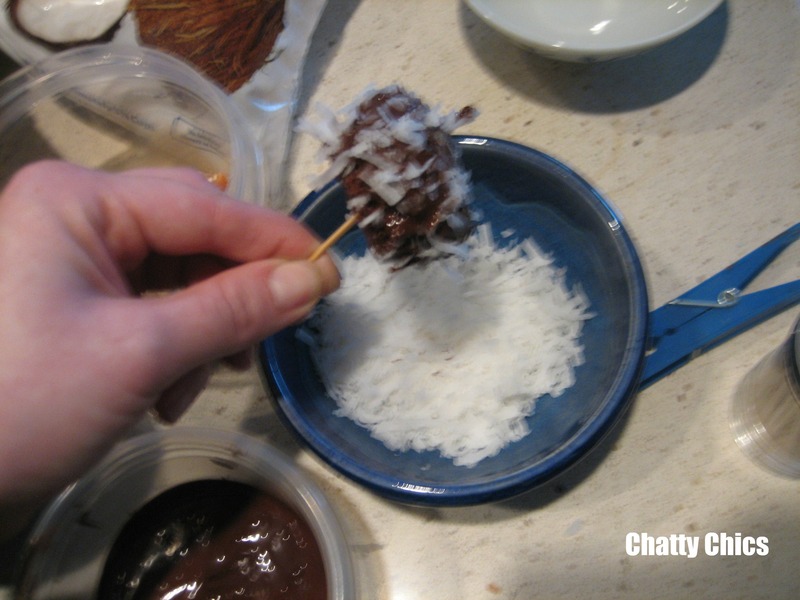 You might remember that weeks ago I showed how to create your own H&D chocolate covered pears. 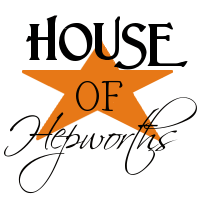 You can read the how to here. 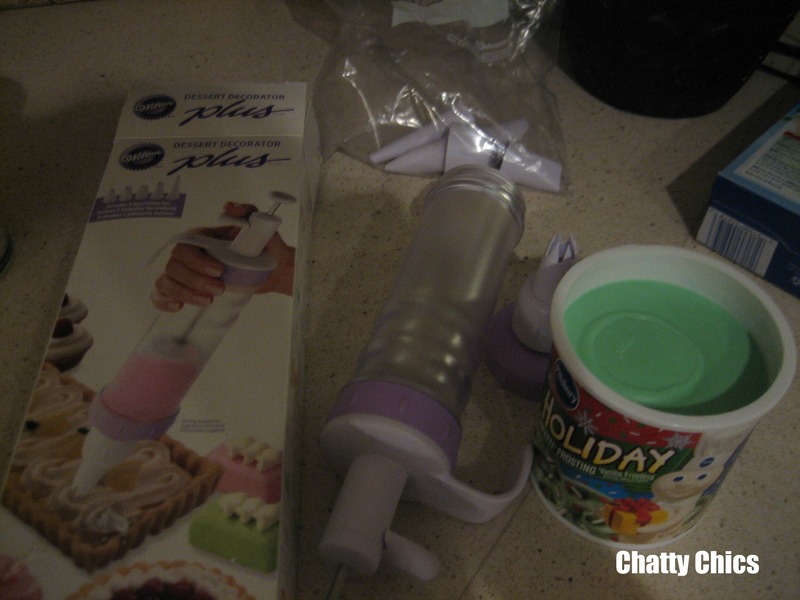 Beth was talking about how excited she was to get her Baby Cakes machine. 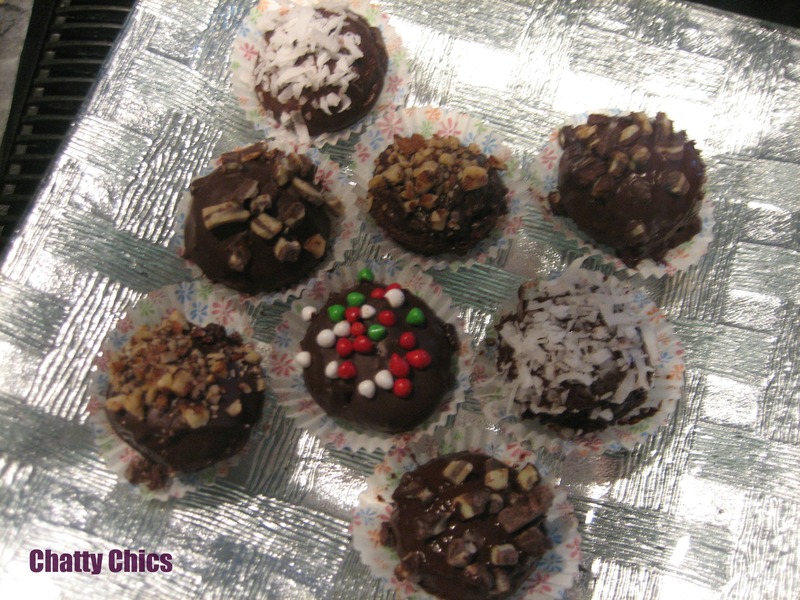 I love chocolate anything and thought it would be fun to create chocolate brownie truffles, using my pampered chef mini muffin pans. So essentially, you use a regular brownie mix and bake it in the mini tins, but please note that the cooking time isn’t nearly as long as what’s called for on the package. 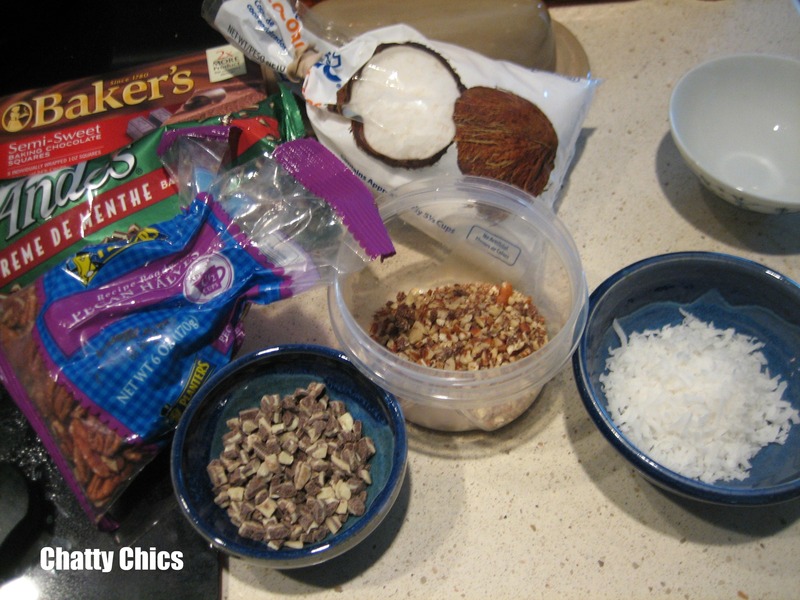 I used crushed pecans, coconut, Andes mint crumbles (amazing! 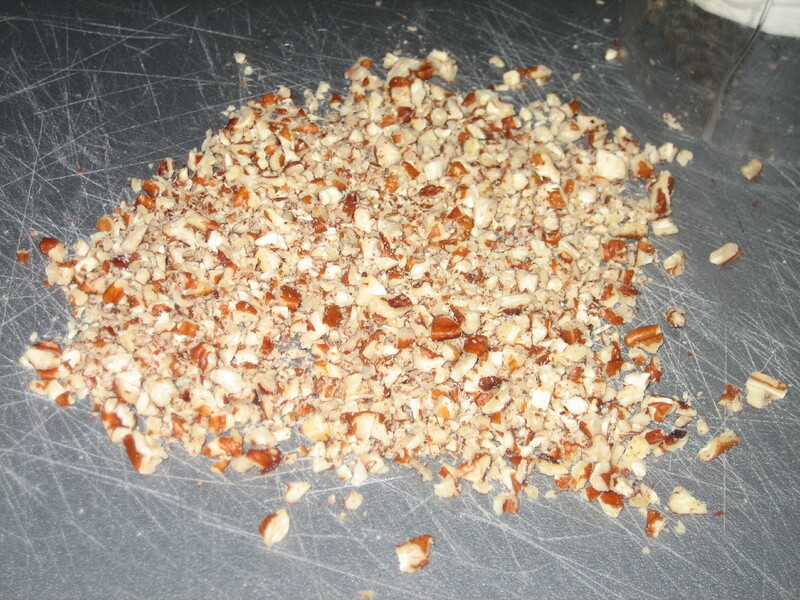 ), sprinkles and of course Baker’s chocolate to dip them in. 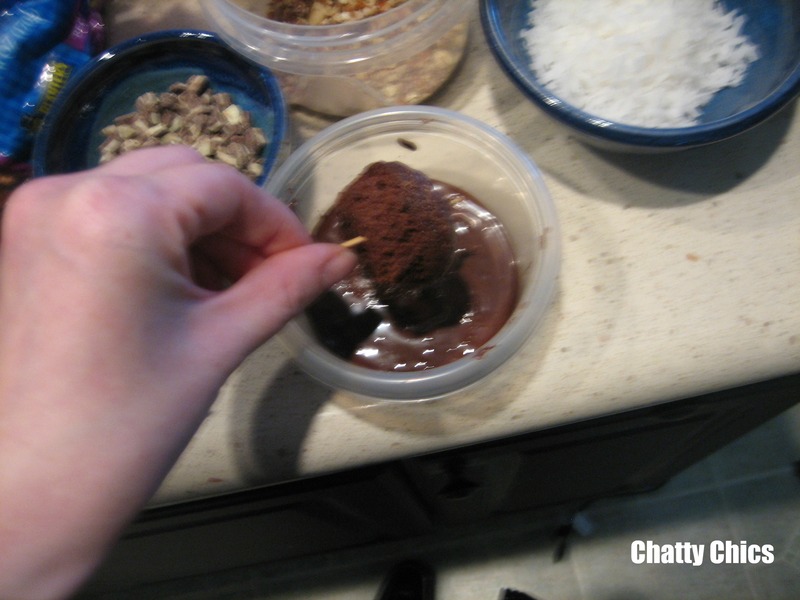 I found the easiest way to dip is to use a tooth pick and then allow it to roll in the chocolate. As with the pears, a shallow dish works better here. 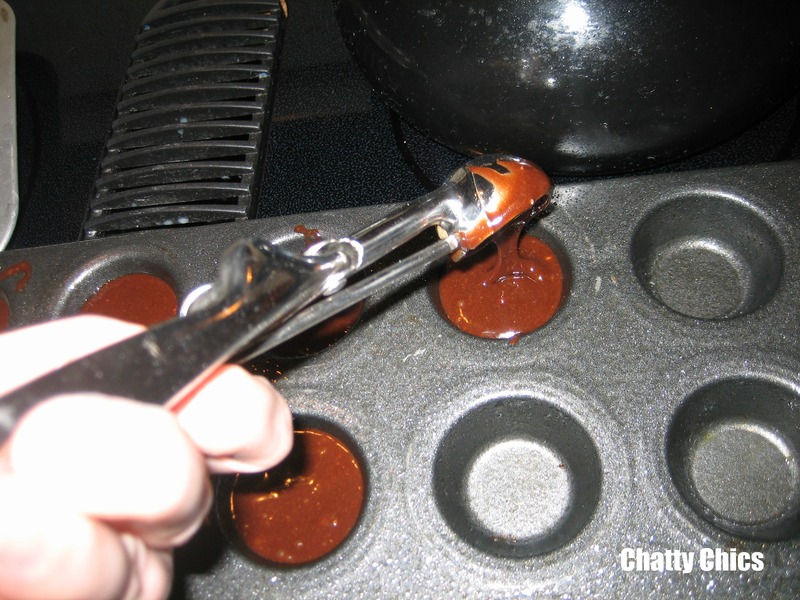 After dipping, you can either roll it in one of the other toppings, or sprinkle it on. 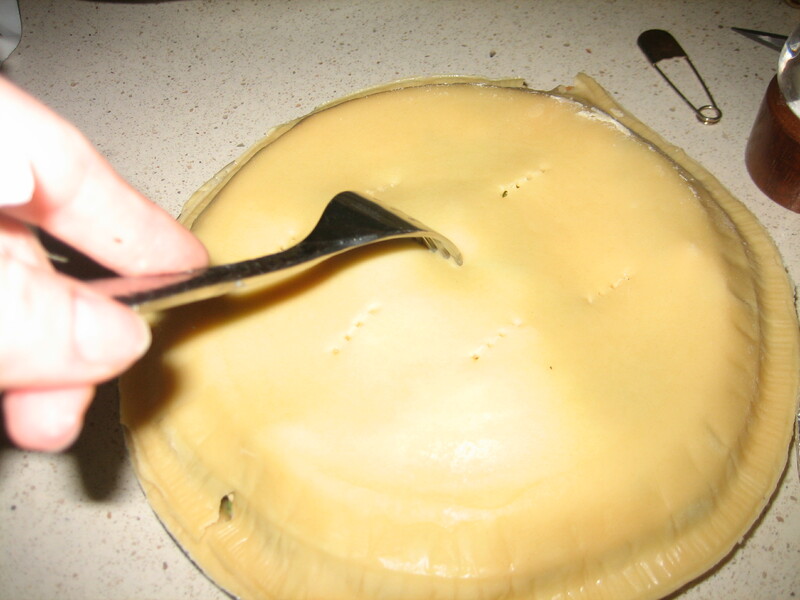 Just be sure to lay them out on a wax sheet as they are cooling so you’ll be able to pull them off easily. 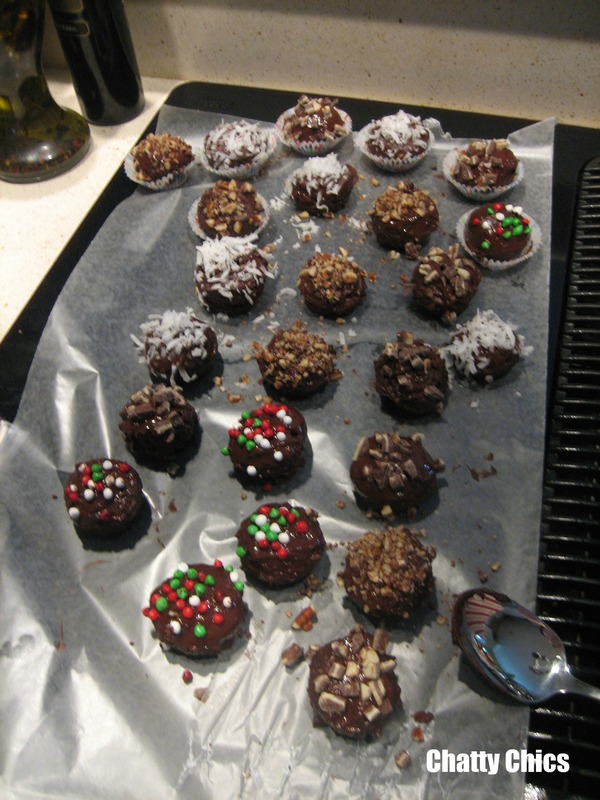 I used little mini muffin paper tins to put them in as well. Earlier this year, I purchased an inexpensive icing decorator from Michael’s (around $15) and have found it incredibly handy! 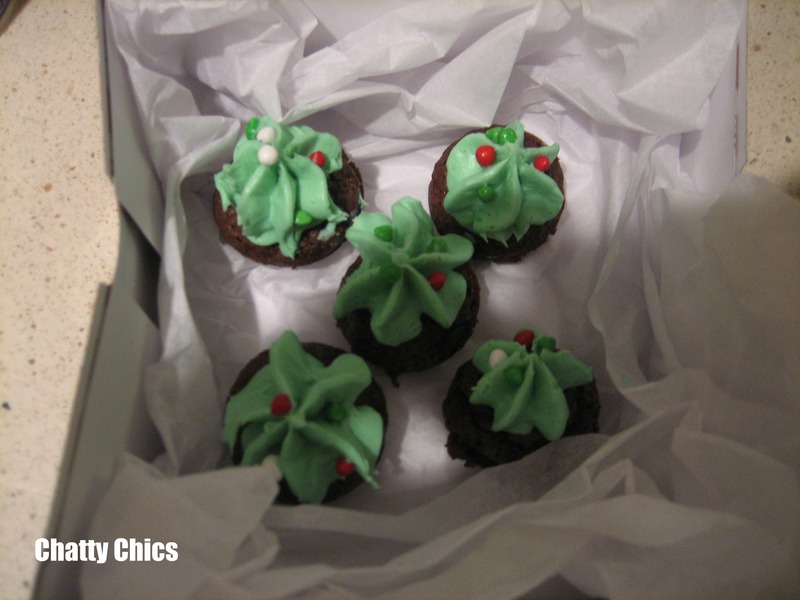 But of course, the chocolate are my favorite and make great gifts for your neighbors or friends. And I think the best part is licking the chocolate off your fingers when you’re done. Enjoy! While thumbing through my favorite magazine, Real Simple, I came across a beautiful ad for Harry and David. 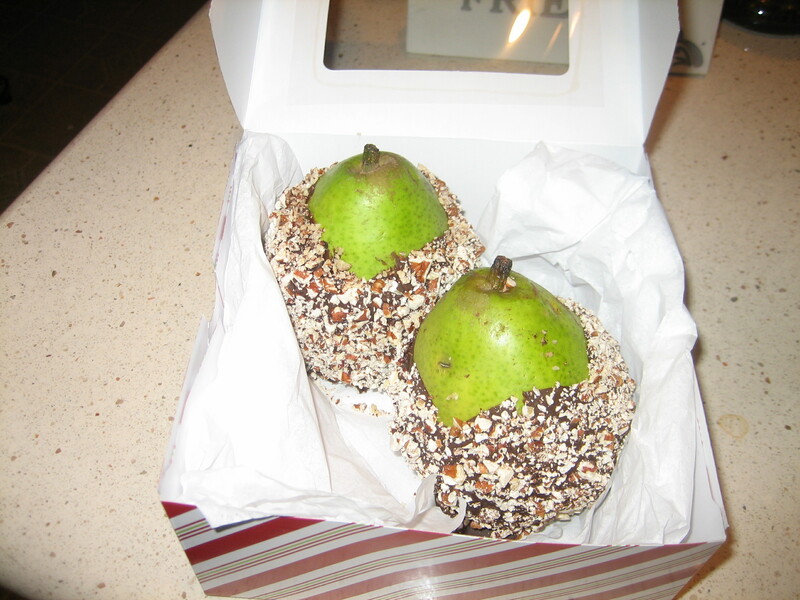 An exquisite picture of delicious chocolate and nut covered pears. (I would show you a picture but am pretty sure they would smack my hand for stealing their image!) Four pears cost $39 on their website. 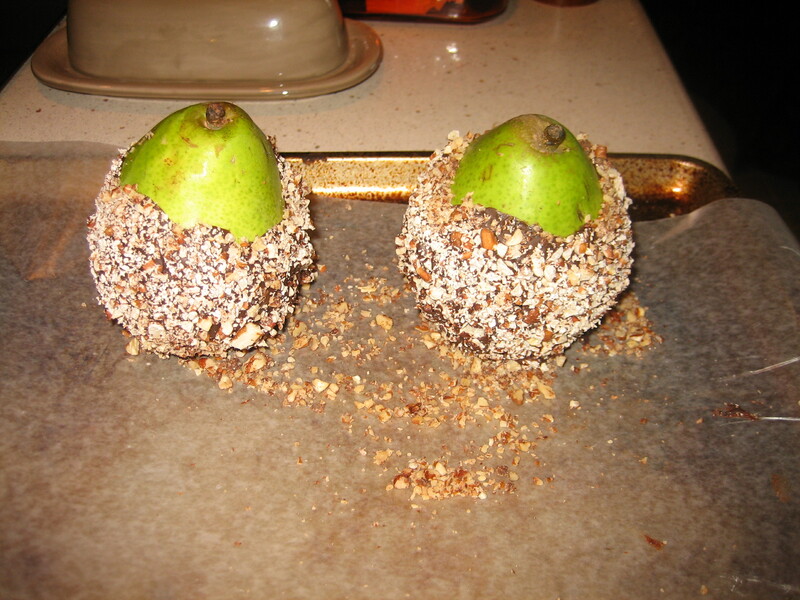 I probably spent $10 (including boxes) on the ingredients which would probably yield 10 pears I’m guessing. I am not a “crafty” person. Meaning, I’m a “corporate executive by trade” turned “mommy for the time being” looking for ways to keep my brain busy. 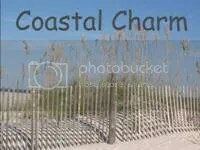 As you will see from my other posts, my goal is to share all kinds of tips that we chics like to gab about. So, anything I can do, you can do better. 🙂 (are you humming now? notice the twist?) This was pretty easy and only took me two rounds to figure out. Thought I’d share how to make them with you. 4. 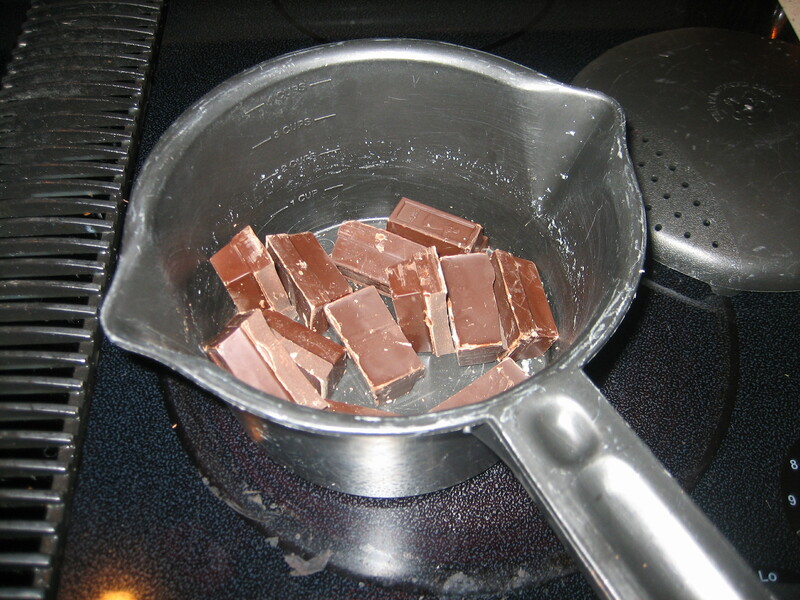 Pour chocolate into a shallow dish. The first time I dipped in the pot and covered the entire pear. It was a mess. 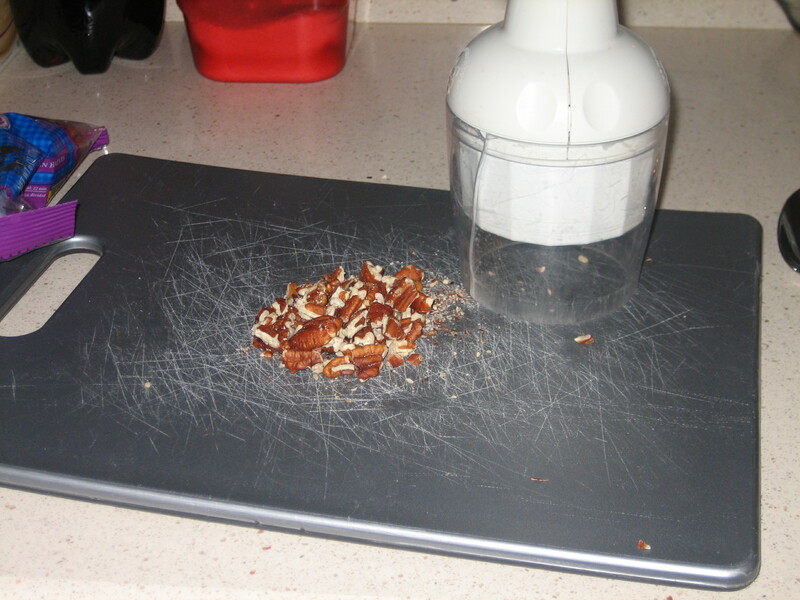 And the chocolate warmed up very quickly so getting the nuts on was also a mess. Learn from my mistakes! 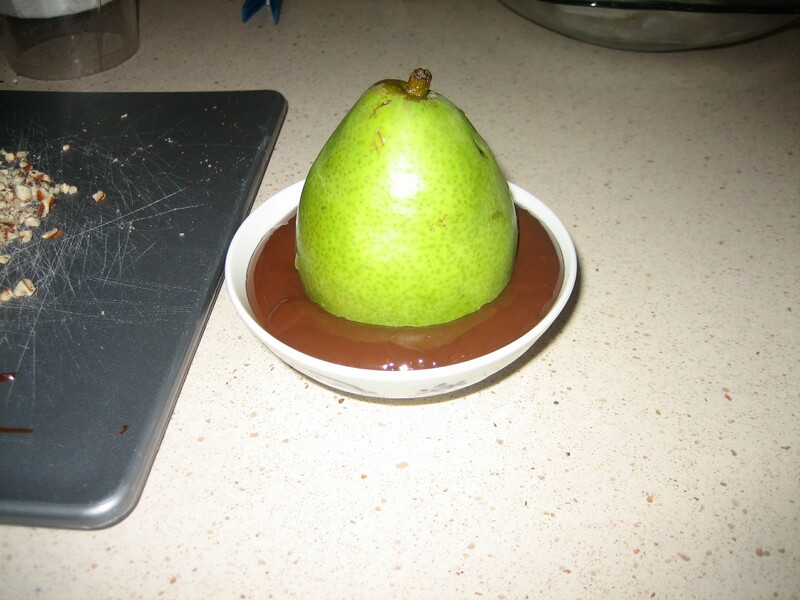 🙂 The second time I used a shallow dish that would allow for better dipping and allow more chocolate to cover more of the pear. 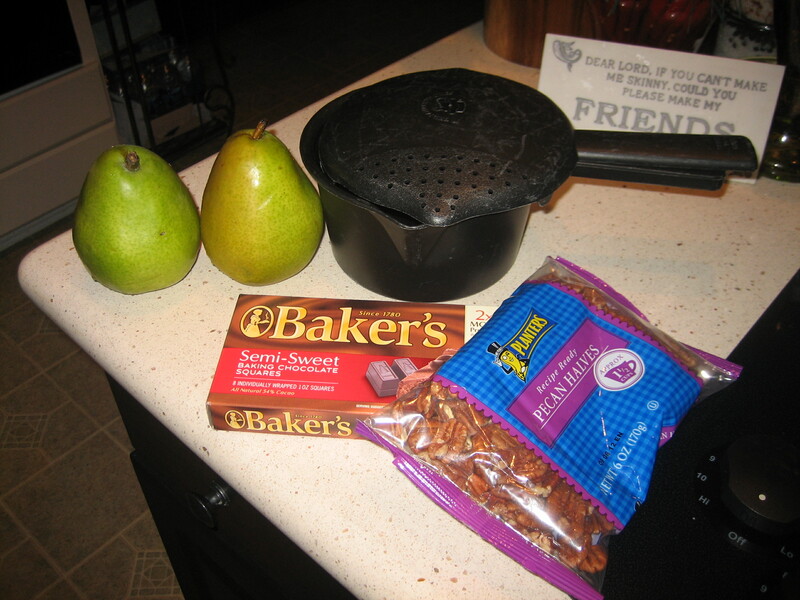 PLEASE NOTE: You will want to rotate the pear in the dish so that you can cover more of the pear! I rocked it back and forth. 6. Okay, this step is very important. Presentation is everything as they say. I purchased cupcake boxes at Michael’s ($3 for 4) and took out the cupcake sections. I used basic tissue paper for lining the box and voila, a wonderful gift for someone special. My friends couldn’t believe they were homemade! 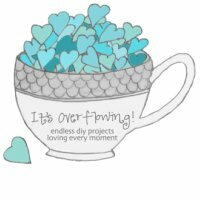 Send me pictures of your creations to share! 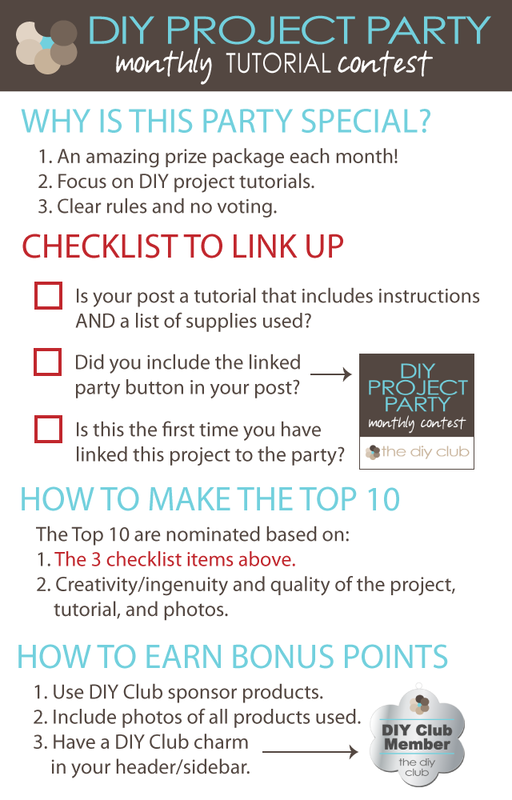 Be sure to stop by our home page for our $200 Jewelry Giveaway! 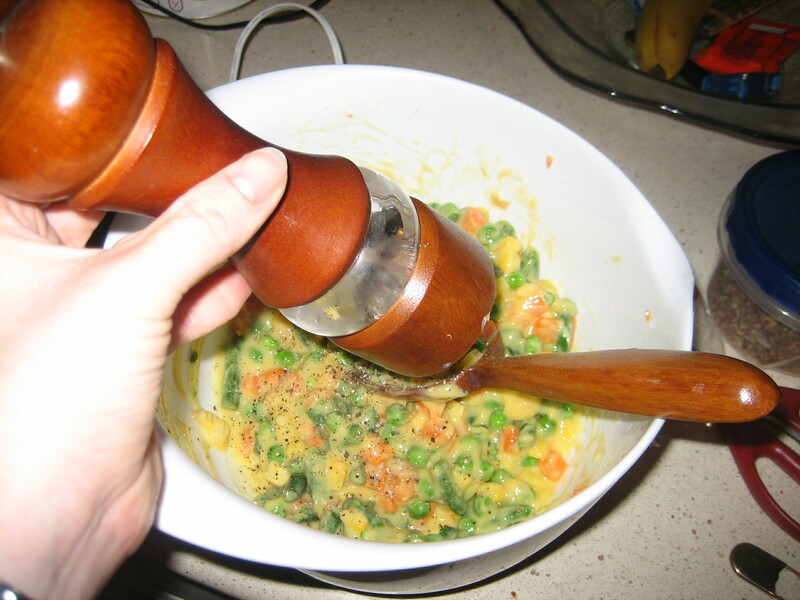 If you, like me, are not a gourmet cook and rarely have time to cook, then this will make you happy. 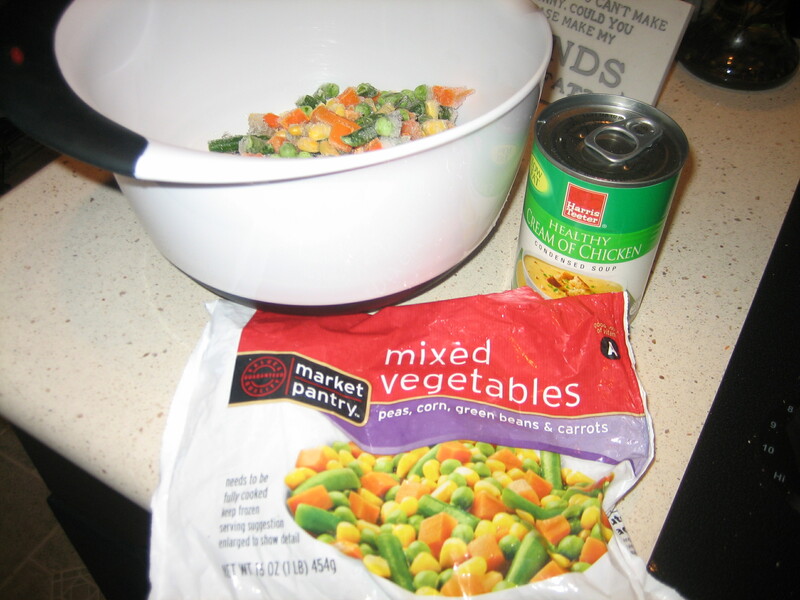 I’ve been making this so long that I don’t remember where the recipe came from and what was originally in it. 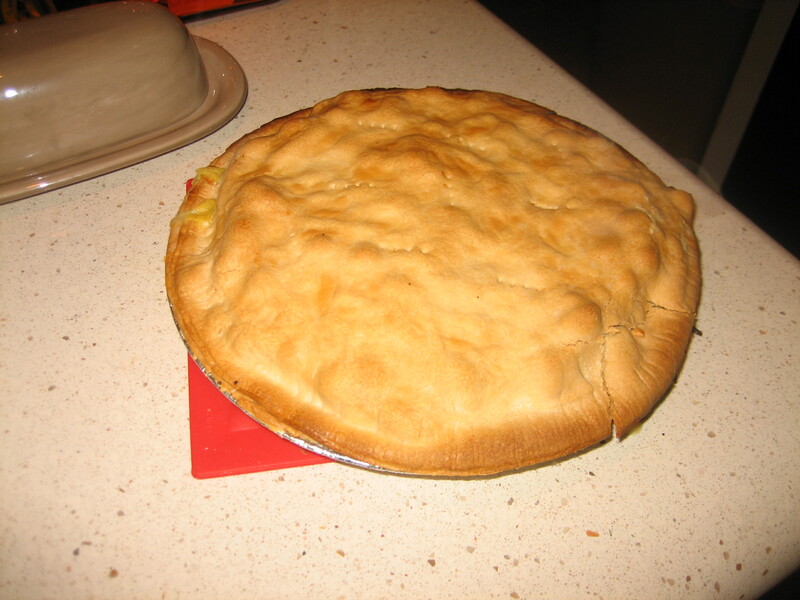 But I’ve made this easy Chicken Pot Pie at least 100 times (Pinky swear!) and it’s always turned out great (ahem, if I do say so myself!) and want to share it with you. I call it 5 Minute because it takes so little time to put together. This is all you do. Are you ready? Here’s a picture tutorial for those that like pictures vs words. 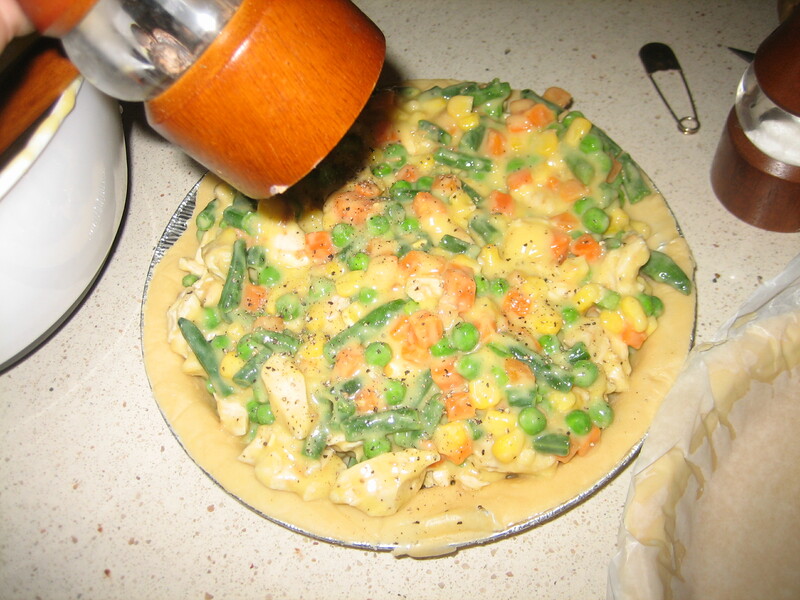 Mix it all together and bake. 375 degrees for 30 minutes or until brown.